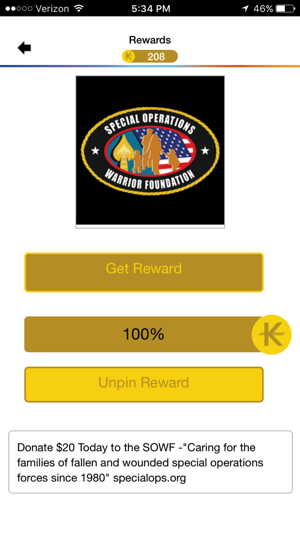 Kabinger is the quickest way to earn points toward rewards and donations you really want. 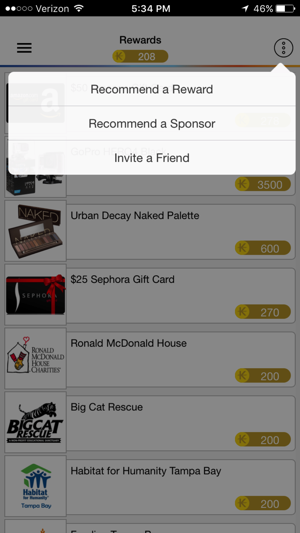 Pick your reward and donation from the lists then shop from your local stores to earn points. Collect Kabinger Points for your purchases and redeem for rewards or pay-it-forward to your cause of choice in as little as 6 weeks! 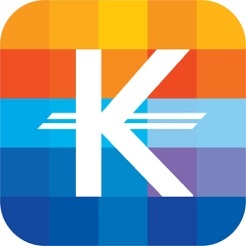 Check the Kabinger app daily to see the latest offers participating stores in your area. 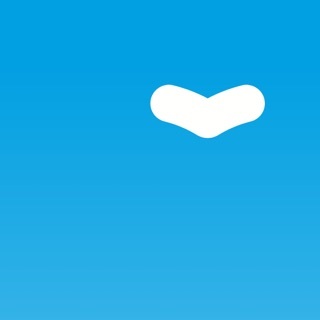 - Pick rewards from a list of cool stuff you really want. 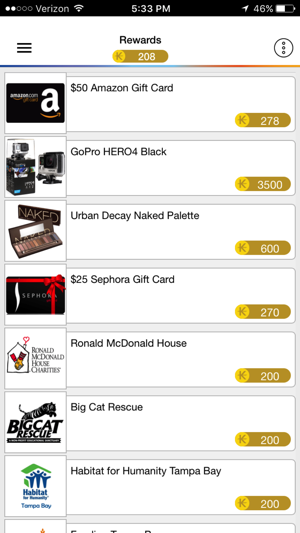 - Redeem your points in as little as 6 weeks for stuff you really want. 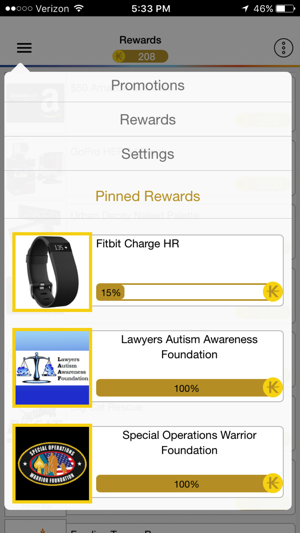 - Track your progress towards your rewards. Check out kabinger.com for more information and follow the fun on Facebook and other social media sites. 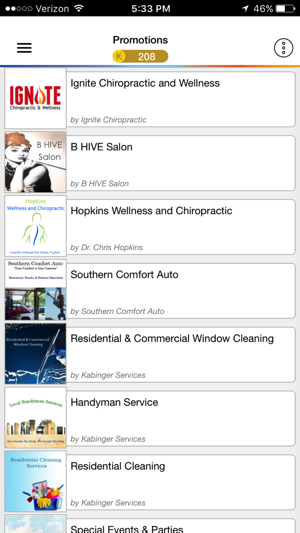 *NOTE: THIS APP FEATURES OFFERS FOR MERCHANTS IN THE TAMPA BAY REGION. MORE REGIONS WILL BE ADDED SOON. We hope that you will enjoy this release, our team has worked very hard to improve your experience with Kabinger. In the latest release of Kabinger users will be delighted by a fresh new home menu with quick access to the most important features. Kabinger will now keep you updated with the latest promotions through notifications. We also took your feedback and reduced the pinned items to two choices, a Reward and a Donation. We've also made it easier to find promotions near you by integrating Location Services, and sorting promotions relative to your device's current location. Search now also includes keywords to find more of what you care about. Lastly Donations now have their own list, "Pay It Forward", so that you can more easily find the cause you most care about and support them with your points.